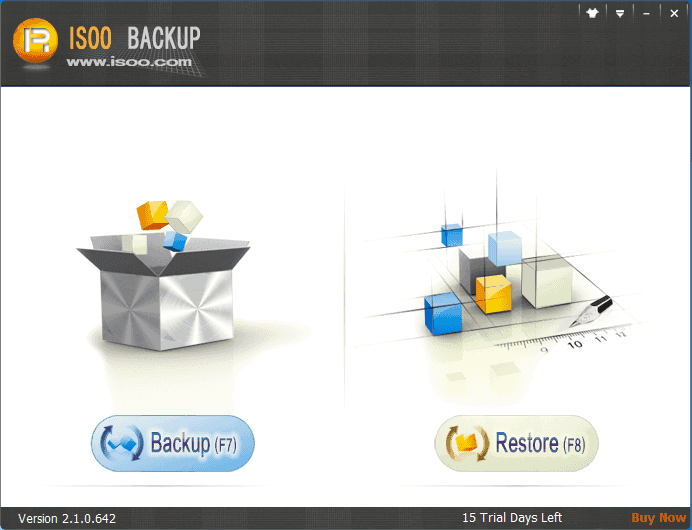 Isoo Backup is user-friendly and reliable software for system and data backup & restore. You can use it to back up any Windows systems including EFI-based PCs and create a backup for non-system partitions. Then you can restore computer to a previous working status when it fails to boot. Both full backup and incremental backup are supported, and backup files can be protected by password. Please contact us with the contact form to report difficulties, strange behaviors or persistent problems, and quote the program name or the number 23028 . This is the download page for Isoo Backup - Isoo Backup is user-friendly and reliable software for system and data backup & restore. You can use it to back up any Windows systems including EFI-based PCs and create a backup for non-system partitions. Then you can Restore system to a previously working status from backup image when Windows corrupts, fails to boot, BSOD, infects virus, etc. without reinstalling Windows. Both full backup and incremental backup are supported, and backup files can be protected by password.Isoo Backup adopts a wizard interface, which makes it very easy to use. You can complete backup and restore operation only by clicking the mouse for several times!It is able to create reliable backups for both operating system and non-system partitions, greatly improve security of system and individual data.It supports backing up all Windows systems for desktop, laptop and server, including EFI-based computer.Isoo Backup supports incremental backup that only backs up changed files since last backup, which improves backup speed as well as saves disk space. Accordingly, system can be restored to any state you've backed up before, which greatly increases the program's practicability.Isoo Backup supports a variety of system restore modes in order to guarantee system can be restored in any circumstances such as system can't boot.Image file created by Isoo Backup can be protected by password in order to prevent undesired system restore.